Online faxing has gotten extremely popular as a replacement for sending and receiving fax messages using a fax machine, especially because of its versatility, once you’ve setup any of the online fax services you can access it from any place as long as you have a device that can access the internet. You do n ot need to have a landline set up or connected; it turns the process of sending and receiving a fax message into something resembling sending and receiving e-mail. The price is a major factor when deciding wich method are you going to use, either online fax services or a regular fax machine. Sending and receiving faxes this way is a bit more expensive if you look only at the direct faxing cost, but there are plenty of hidden costs you need to consider. The cost of having a landline installed and maintained, the cost of keeping the fax machine supplied with ink and paper, the cost of having to set aside office space for a bulky multipurpose fax machine. Another major benefit is the fact that sending and receiving through any online fax services out there, converts all of the documents into digital form, and that there are plenty of additional features that online faxing services offer that the regular fax machine just can’t compare with. This is a very well known player in the Online Fax Services and VoIP playing field, and they’ve got plenty of experience providing the features their customers want for a very reasonable price. Also, their plans focus more on monthly membership and programs than on purchase on the per-fax basis, allowing them to offer very competitive prices. 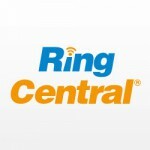 The main methods of sending and receiving faxes through RingCentral are through e-mail, either with the portal on their web page or through your preferred mail client. You can just attach the document you want to be faxed, send it to @rcsend.com and you’re done. Received faxes arrive at your inbox from their service as attachments. The system is able to integrate into the Microsoft Office, Dropbox as well as Google Documents, making this one of the most versatile services around. Add support for Mac OS X, Linux, Android, iPhone and Blackberry platforms, and you’ve got a well-rounded service. Some of the additional features that stand out are the ability to print directly from a received fax message, ability to sign faxes directly and access to smartphone applications. Start Your Free MyFax Trial! MyFax offers the very best experience if you want to use your online fax services through web interface alone. They are a brand name well known in the telephony field and have experience in catering to large business clients. That shows in a very large software suite which is meant to be used as full on telephony center, which can be a bit too much for the regular user that just wants to send and receive faxes. However, you can use their web interface if you want the core functionality with none of the non-fax related goodies. One of the biggest complaints about MyFax online faxing service is the fact that they have a limited inbox – you can store up to 200 fax messages, after that you’ll have to delete them to make room for new incoming faxes. Also, their price tags have been slowly sliding upwards over the last few years, a trend that doesn’t seem to be slowing down. What they offer for that price is nothing to be scoffed at. They have one of the very best systems for converting documents of various formats to fax messages, supporting even obscure file formats, and they are extremely reliable. I’d say that this is the best service to pick if you want to do faxing on the move, as their smart device support is on top with one of the best web interfaces out there. Test Drive eFax Free for 30-days! eFax is the primary service that’s been around since the beginning of the online faxing as technology. They are set aside by their brand name that promises a wide variety of features, as well as better worldwide coverage than their competitors. They’ve got their eFax Messenger application that allows for quick sending and receiving of fax messages, but they too offer full integration with your standard e-mail client and Microsoft Office. 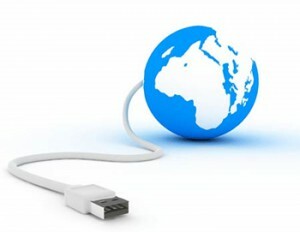 It’s also got best core features for business use with multiple users, as the faxes can be received to up to five different e-mail addresses simultaneously, allows for sharing of large files (most other services have a 10mb limit) and 24h phone customer service ready to help with any problems. Learn More About Our Recommended Choice!